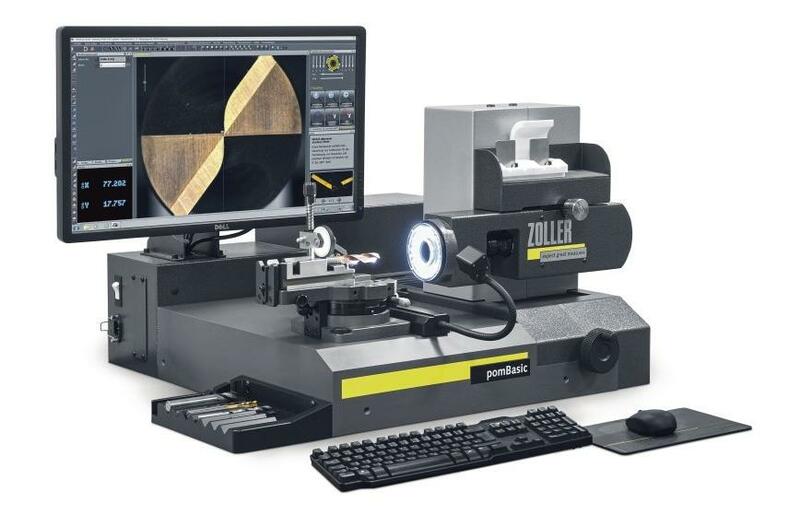 The ZOLLER »pomBasic« inspection machine for process-oriented measurement and inspection of drills, milling cutters and countersinks in incident light. With its compact and universal design the »pomBasic« is ideally suited for use in incoming goods, in inspection rooms or directly on the shop-floor of grinding companies. With its »pomBasic« ZOLLER offers the compact solution for a universal tool inspection.The perfect machine for use on the shop-floor directly next to the CNC grinding machines: just insert the tool, position, measure and finished! It is that simple - an automatic cutting edge detection for high accuracy, wizard-guided measuring processes and test logs at the push of a button.